The great overriding principle of Bible interpretation is “The Scripture explains Scripture.” It is not a matter of anyone’s private interpretation as Peter declares. 2 Pet. 1:20 We will be looking at some difficult passages, and other passages that have been misinterpreted. The Bible is the only book in the world that interprets itself. And since the Spirit is the author and interpreter, it does not lend itself to misinterpretation. The problem is in man’s mind with his pre-conceived notions and ideas. In the last newsletter we began to look at passages briefly to understand them. We look next at is Jn. 14:12 “Truly, truly, I say to you, he who believes in me will also do the works that I do; and greater works than these will he do, because I go to the Father.” Pentecostal/charismatics point at this passage to give validity to their supposed miracles. This passage does not give any credence to that though. First of all look at the context of the verse. It was on Maundy Thursday night when the Lord explained so very much to His apostles. In John chapters 14-16 over and over we have recorded Jesus promising to send the Spirit. Look at those chapters and the specific verses promising the Spirit: 14:16-17, 26, 15:26, 16:7-9,13-14. Nowhere does the Lord promise here miraculous gifts of the Spirit, but rather that it would be through the Word, His teaching that the Spirit would work. As to greater miraculous gifts, no one did or could do greater than Jesus’ for instance feeding 4000 or 5000, stilling the storm on the Sea of Galilee, raising the dead and so on. Jesus is not talking about these. In Jesus earthly ministry he did not go beyond the confines of Judea/Galilee except briefly across the Jordan. His physical sphere of work was limited in that He was sent to fulfill the prophecies for God’s Old Testament people, the house of Israel. Some Gentiles came to him like the Syrophoenician woman(Mk. 7:26) or the Greeks during holy week (Jn. 12:20). But after He gave the great commission and ascended into heaven the apostles as well as others spread far and wide the message which the Spirit used to work on hearts. In Acts we have Paul traveling to Asia Minor and Greece. The greater works included covering vastly wider physical areas than our Lord walked within and reaching vastly greater numbers than our Lord spoke to. He has left it to His church to reach to the ends of the earth with the Spirit empowered Word of life doing ‘greater works’ in this sense. “And they were all filled with the Holy Spirit and began to speak in other tongues, as the Spirit gave them utterance.” The Pentecostal/charismatics love to use this passage to emphasize that to be a true Christian means to be filled with the Holy Spirit that one can do miraculous things. Of course some other uses of that expression “filled with the Holy Spirit” are used by Luke in Acts to point out that the Spirit works on the heart and produces an increased faith and boldness to speak the Word – Acts 4:8, 31, 9:17. In Acts 13:9 it is true that Paul, filled with the Holy Spirit, did pronounce a judgment on Elymas, but at the end of the same chapter the expression has no connotation of miraculous power – 13:52. In some churches that claim they have the miraculous powers from apostolic days a division into classes of Christians exists; those who are filled with the Spirit and can do miracles and those that are not and can’t. We pray for an added measure of the Spirit to face up to tasks which the Lord has set before us. That is simply what is meant across the board by “being filled with the Holy Spirit,” God grants an added measure. But even the Christian who has simple faith as small as a mustard seed has the same entrance into heaven as one who is a leader and bold speaker of the Word. When our Lord walked on this earth, He did not divide up Christians into first and second class or any such thing. Either you are for Him or you are against Him. Either you are with Him or you are not. A prophet is first of all a preacher of the Word. I Cor. 14:3 Think of the minor and major prophets of the Old Testament, how their books present the Word of God. Or consider the ‘preaching’ prophets of the Old Testament such as Elijah and Elisha. They spoke to the people the Word. A prophet is one who is inspired by God. Then secondly, a prophet foretold the future. It is in this second sense that we look at prophecy in this study.In these following guidelines you have briefly how we can better understand prophecy. The first prophecy is in Gen. 3:15-17, which is also the first Gospel promise. Here the coming of the Savior is foretold. And this emphasis on the Gospel, good news of a Savior, is what prophecy centers upon. The prophecies of the Old Testament tell of the Messiah and His work and rule. Zechariah has the most such prophecies compressed into one of the minor prophetical books. 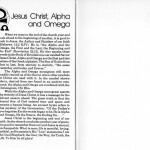 Isaiah has lengthy sections devoted to the Messiah and His work and rule: ch. 53 – His passion, ch. 61- the King, ch. 60 – His kingdom. In the New Testament we have especially the prophetic fulfillment of His Passion and its success in Matthew, Mark, Luke and John. In the Old Testament we have passages that have an immediate fulfillment in Old Testament times, but the ultimate fulfillment in New Testament times with Christ. In Ps. 72 part of it deals with Solomon’s reign, but the other part deals with Christ’s reign. In Deut. 18:15-18 we are told that Moses as a prophet will have a successor in as we see Jesus. Prophecies can be very specific as to an event. This just shows how the Old Testament(prophecy) and the New Testament(fulfillment) are one book. In looking at prophecies there is an immediate fulfillment so often followed by some time later an ultimate fulfillment. It is as if you look out on a scene with some things up close and other items in the distance. In Matt. 24-25 we have our Lord’s prophecies that we see in this way. Right then there would be fulfillment, Mt. 24:34 with its beginning. The last days are from the time of Christ until the second coming. 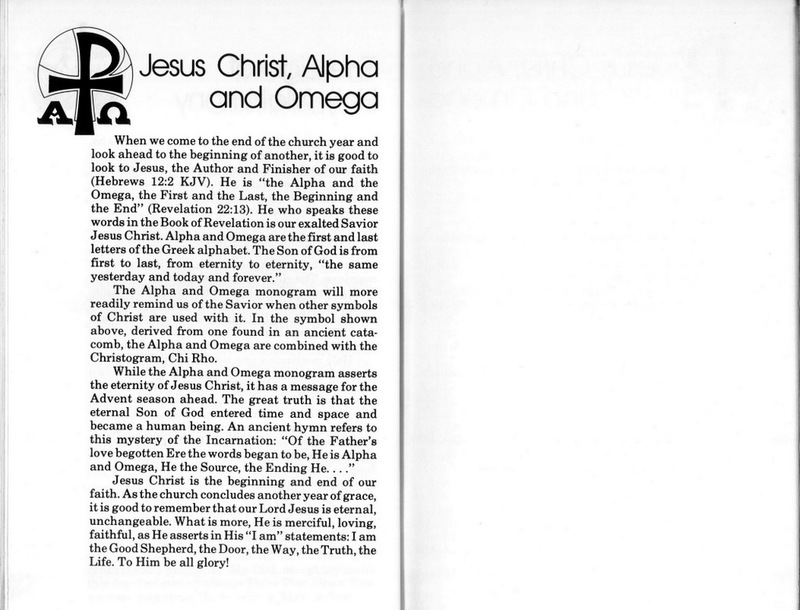 In this section also are prophecies of when Christ comes the second time – 24:29-31, 2531-46, 24:22-28. But as one studies these two chapters it has to be realized that when Jesus spoke these words the people did not know when each prophecy would happen. In the one book of prophecy in the New Testament there are overlapping visions of the last days: seven seals, seven trumpets, seven mysterious figures, seven bowls of wrath. Not all events in each vision follows successively the others. But pictures are given from different perspectives. As we study both the Old and New Testament prophecies we have to guard against false interpretations. Christ would rule from a throne in Jerusalem. No He rules from heaven in the hearts of men. The antichrist was a man. No it is a symbol of what man at the devil’s conniving does. The war we fight will be eventually with missiles and tanks. No our warfare is spiritual and we especially wield the Sword of the Spirit which is the Word of God. The 1000 years in Revelation are literal. No these present a picture of how the Gospel goes into all the world until the end with the devil especially near the end unleashing his forces against the church. The 1000 are figurative just as so much else is figurative in Revelation.